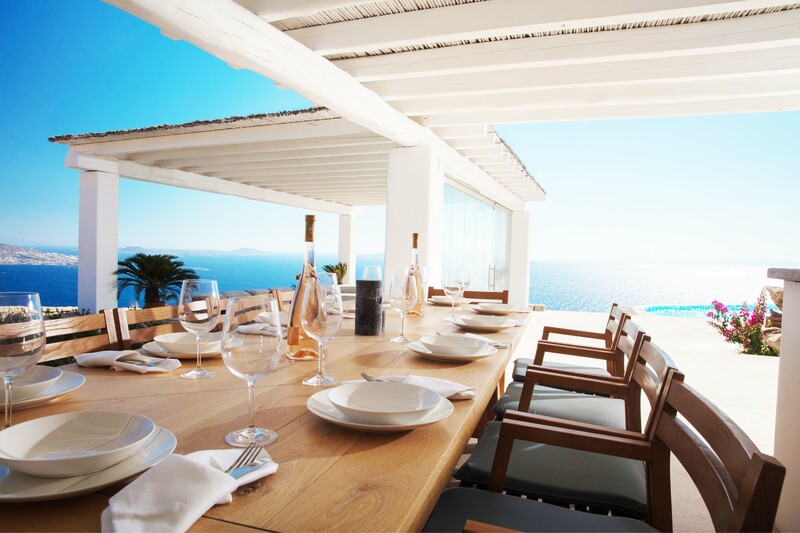 Enjoy a blissful retreat surrounded by stunning and panoramic sea views with Villa Leoni. 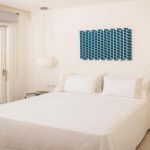 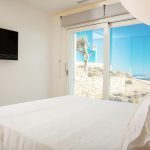 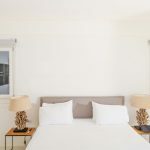 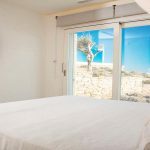 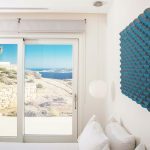 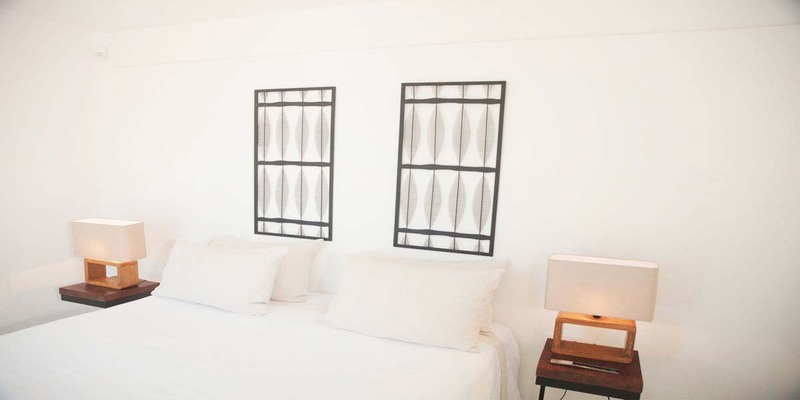 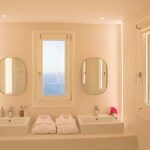 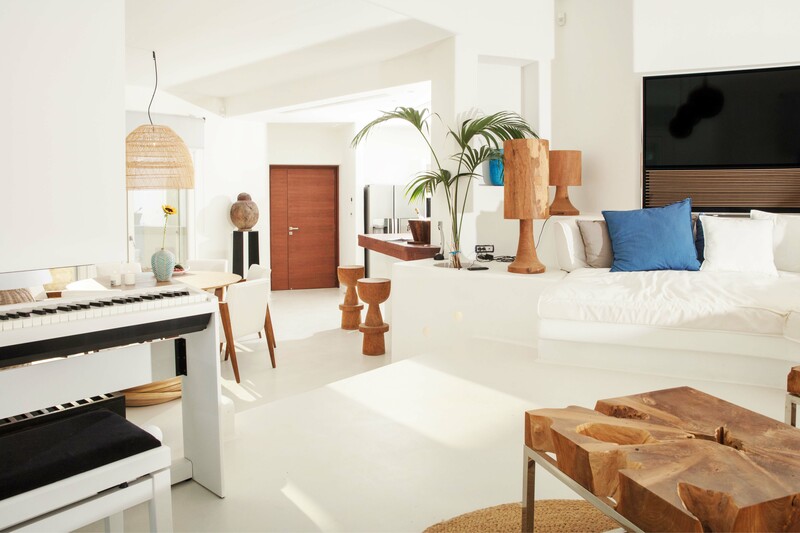 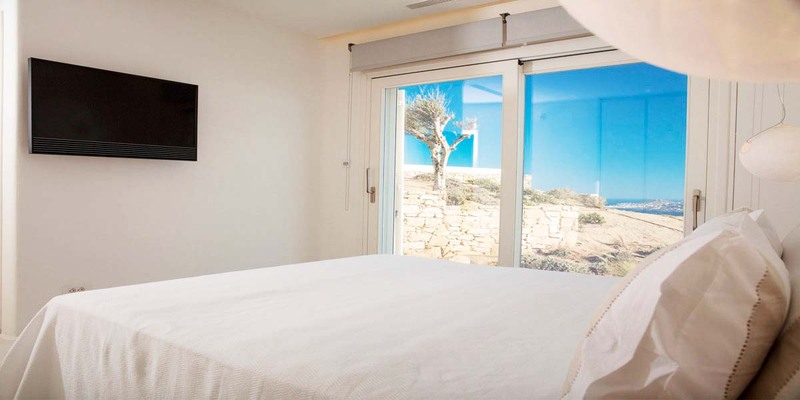 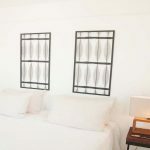 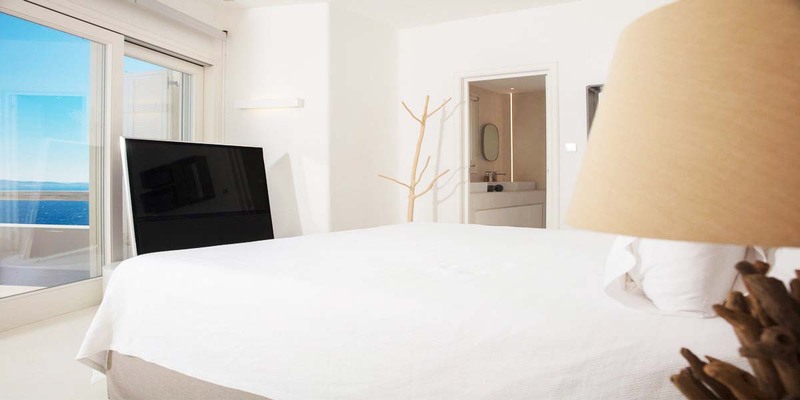 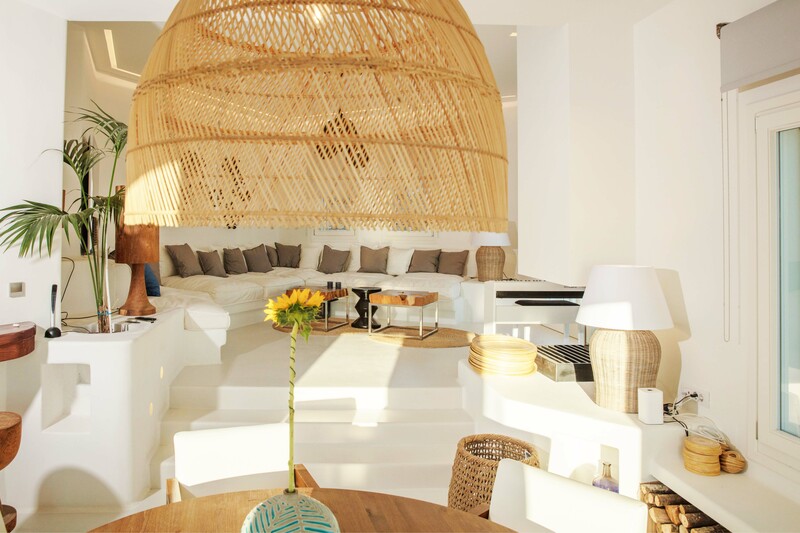 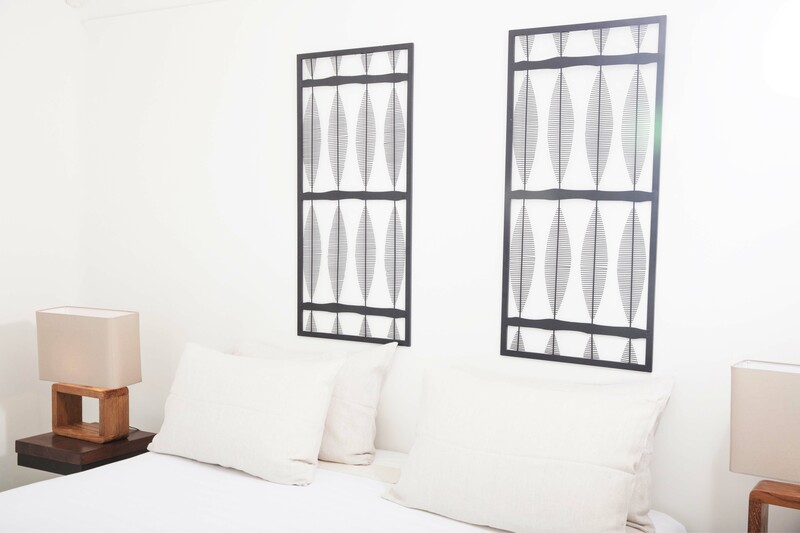 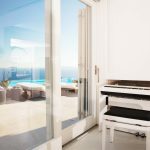 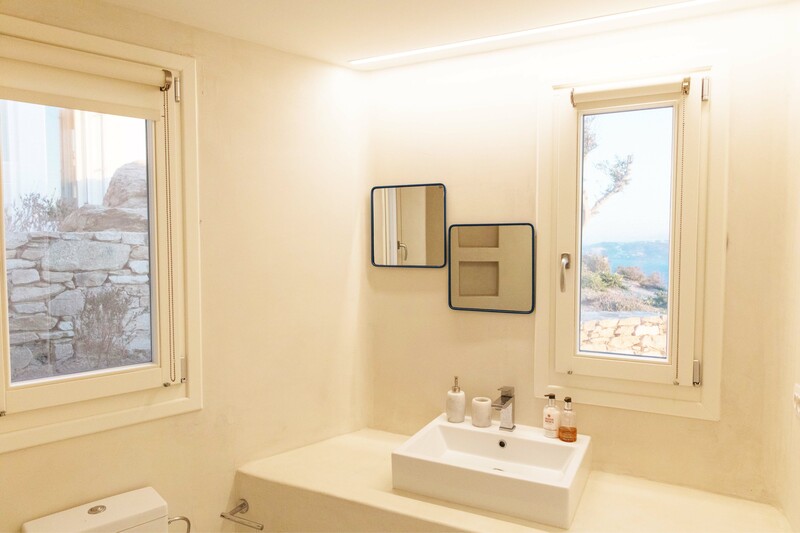 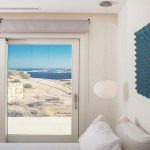 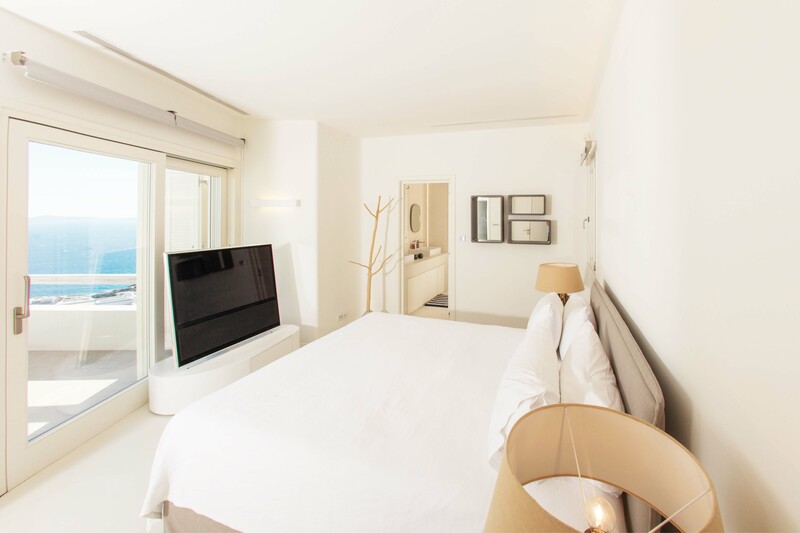 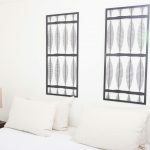 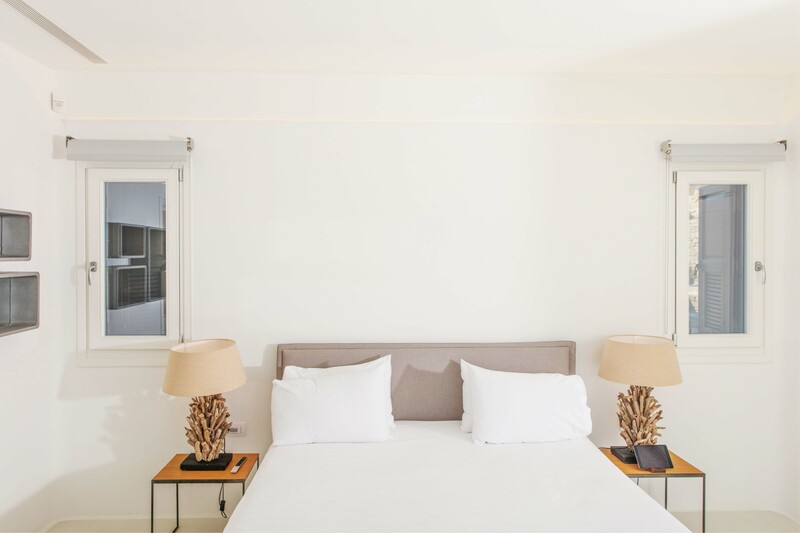 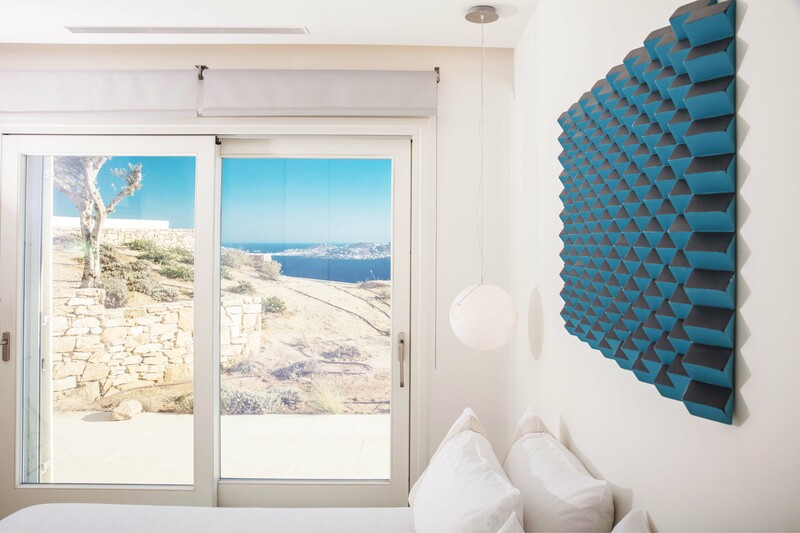 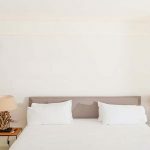 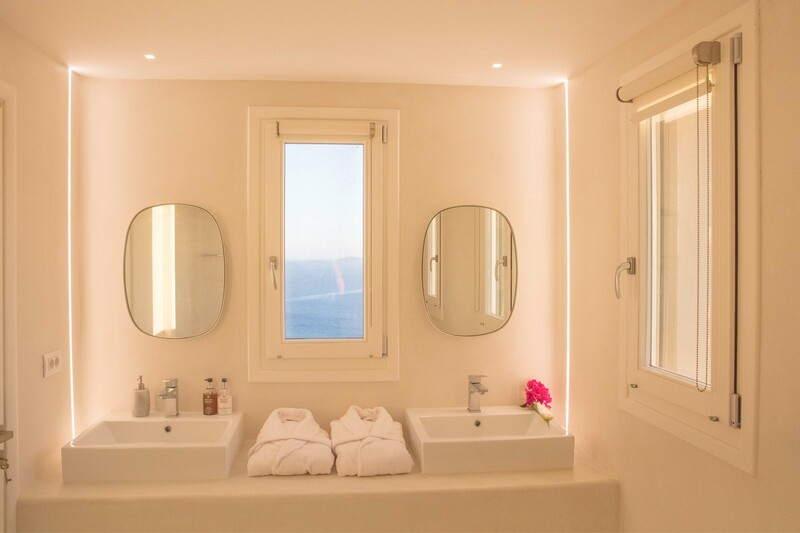 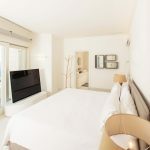 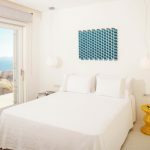 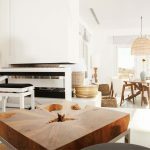 Located in one of Mykonos’ most sought-after areas, the villa has six spacious bedrooms and all the features required for a relaxing and delightful stay. 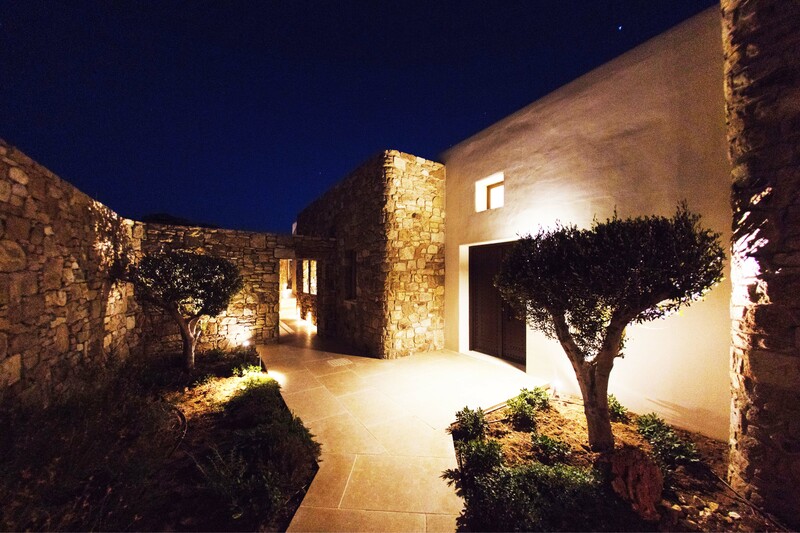 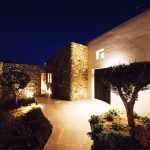 The elegant white-washed stone villa is designed to stand in harmony with its beautiful natural setting and is sure to impress from first glance with its traditional yet sleek appearance. 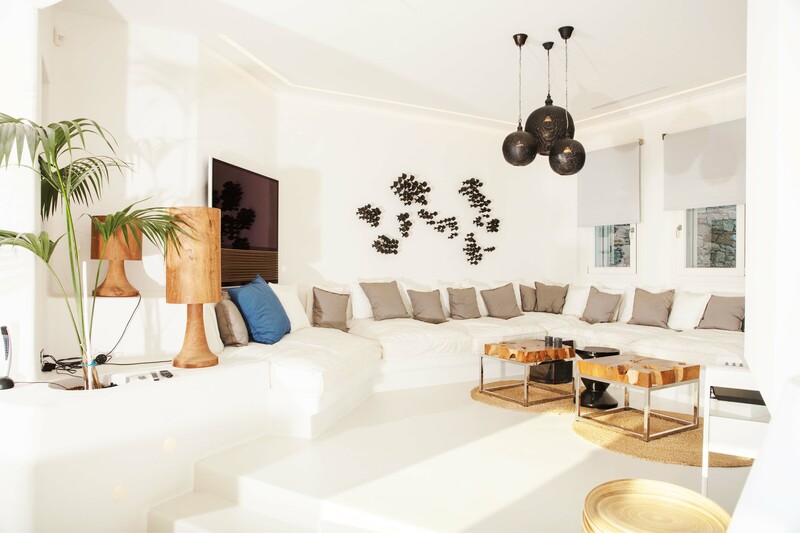 Entering the villa is like stepping inside a calming sanctuary, as minimalist and neutral décor creates a relaxing and contemporary ambience. 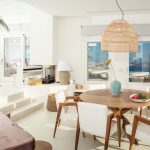 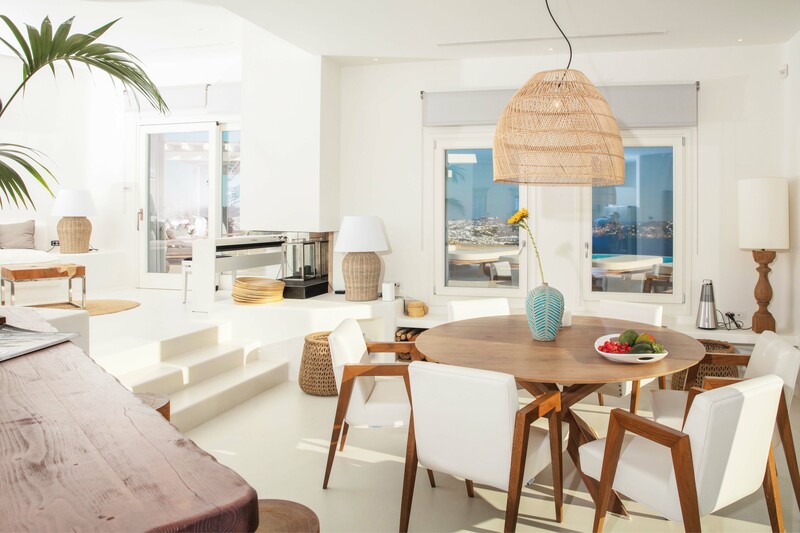 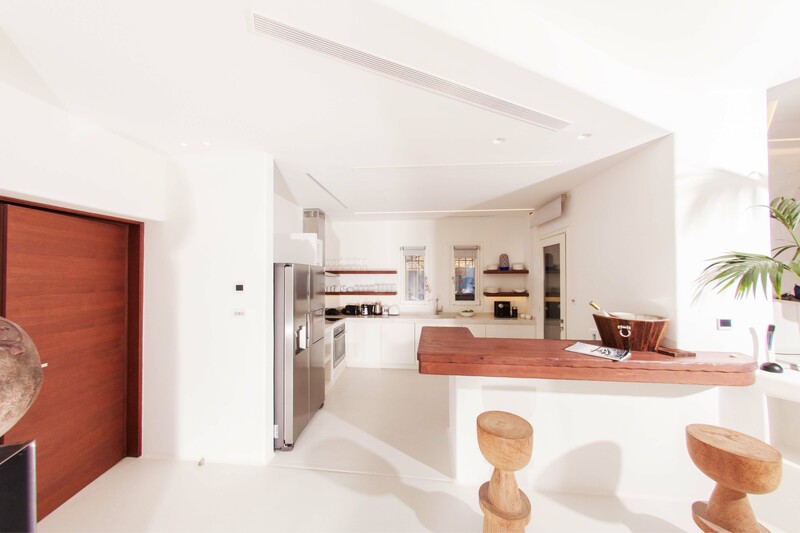 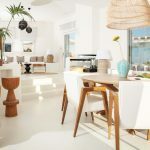 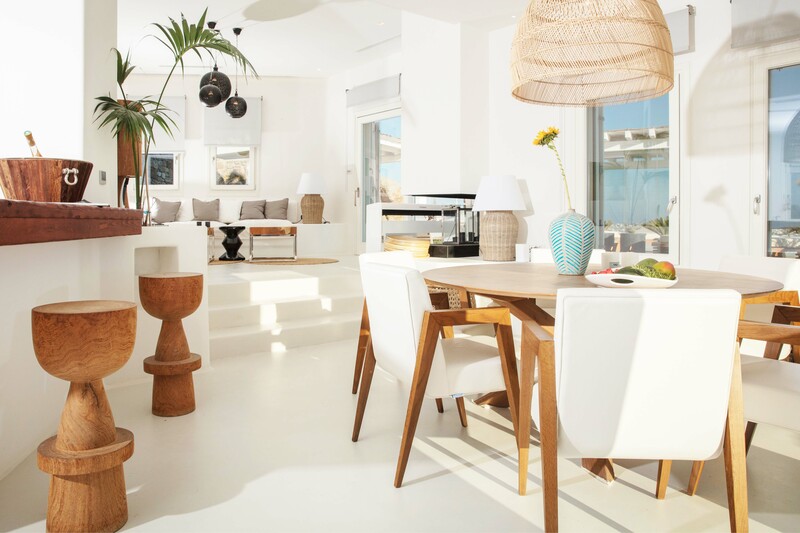 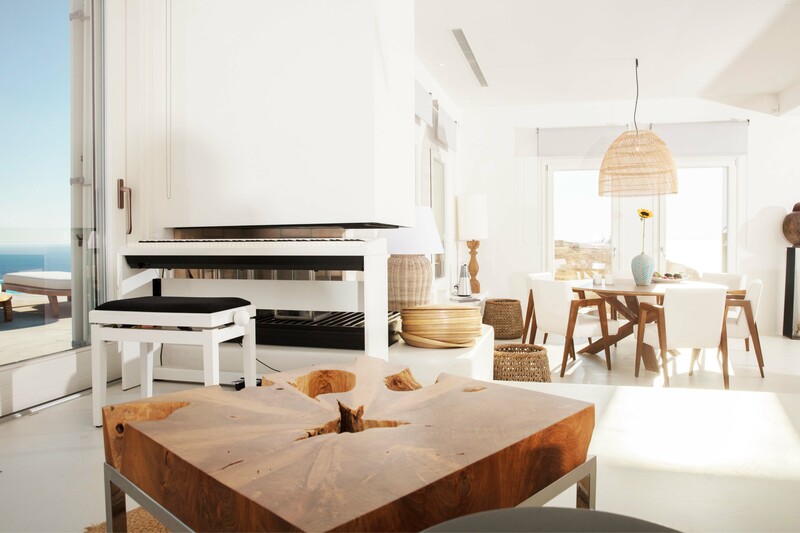 While the interior is sleek and modern, it is also approachable, with inviting shared living spaces and tasteful accents that hint at the villa’s island location. 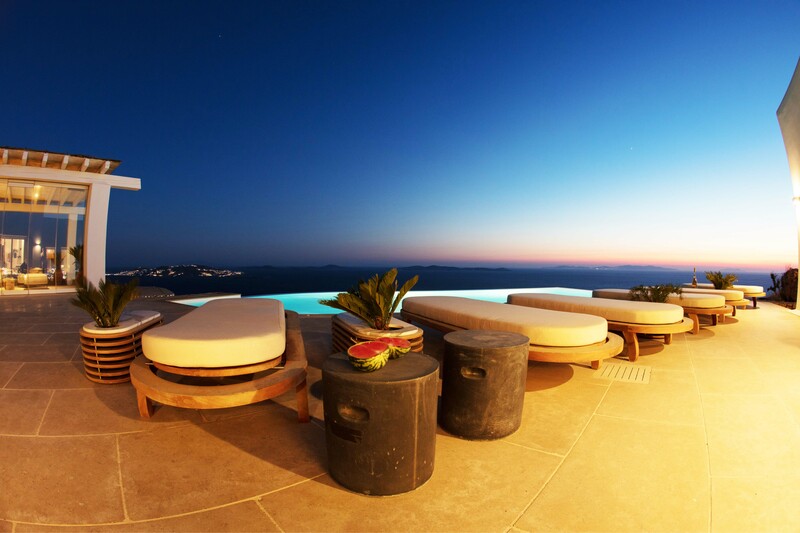 It is the perfect place to rest and recharge, perhaps in the company of great friends. 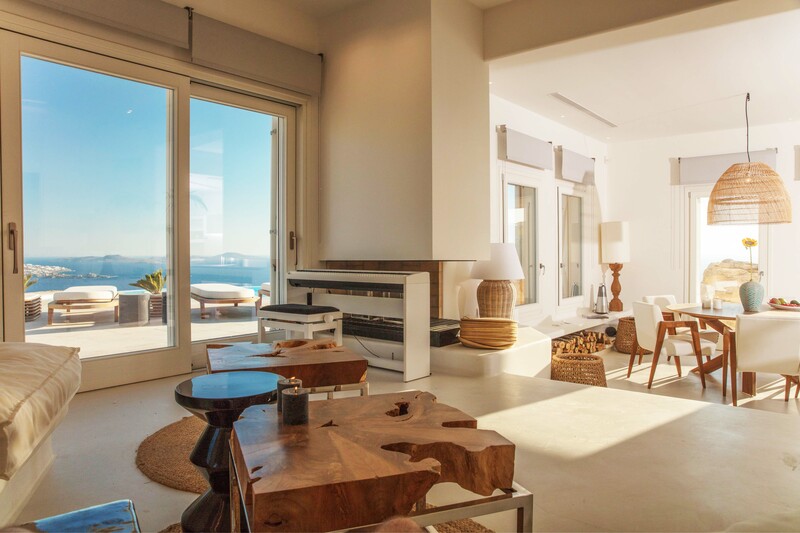 The villa is light and airy thanks to large windows that are designed to take in the truly exceptional views enjoyed by the property. 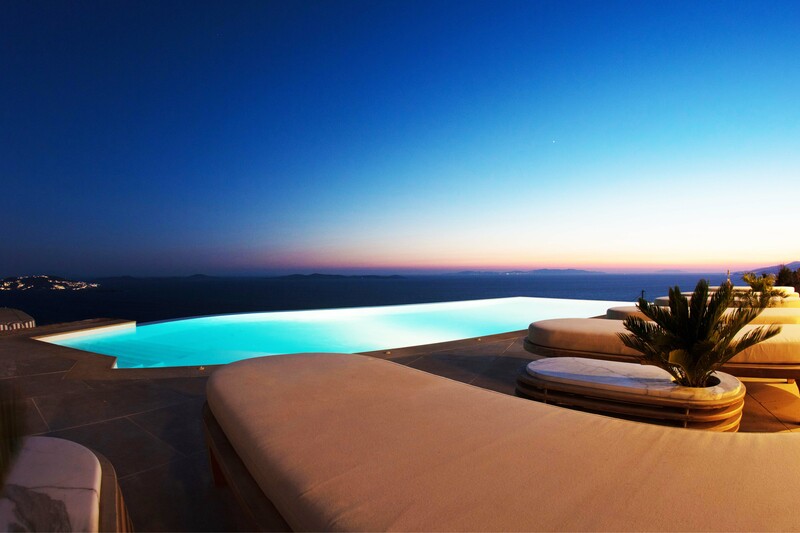 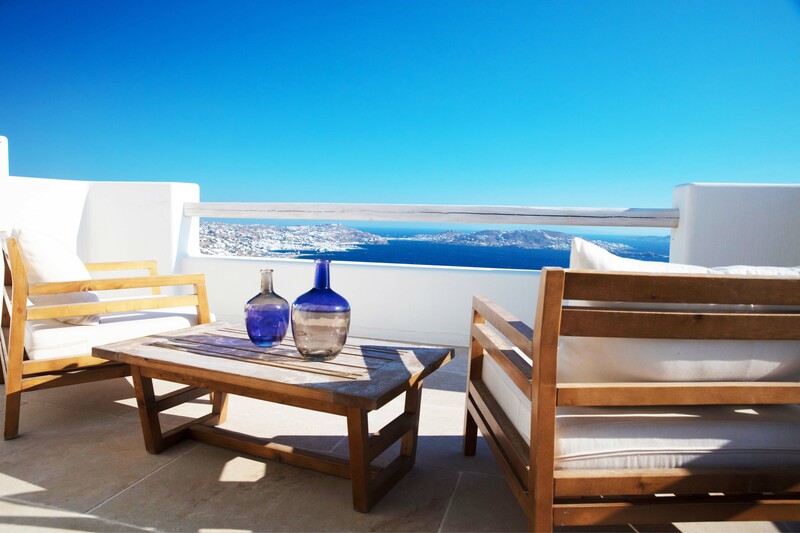 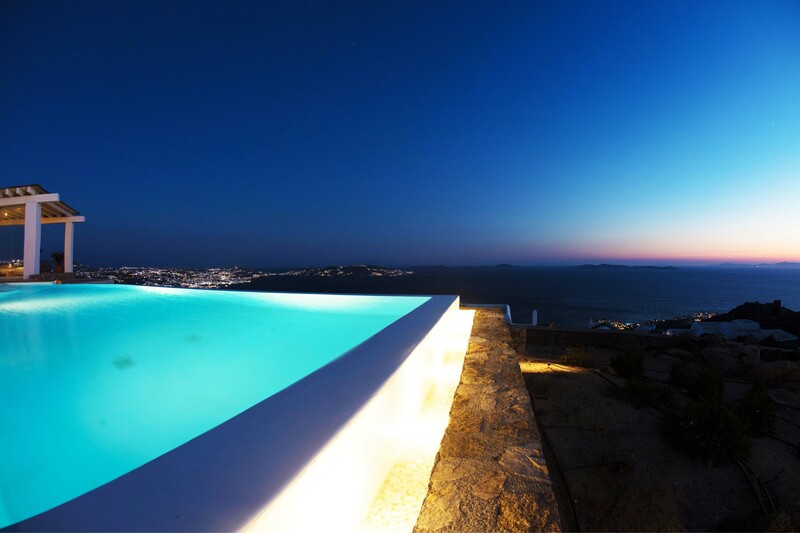 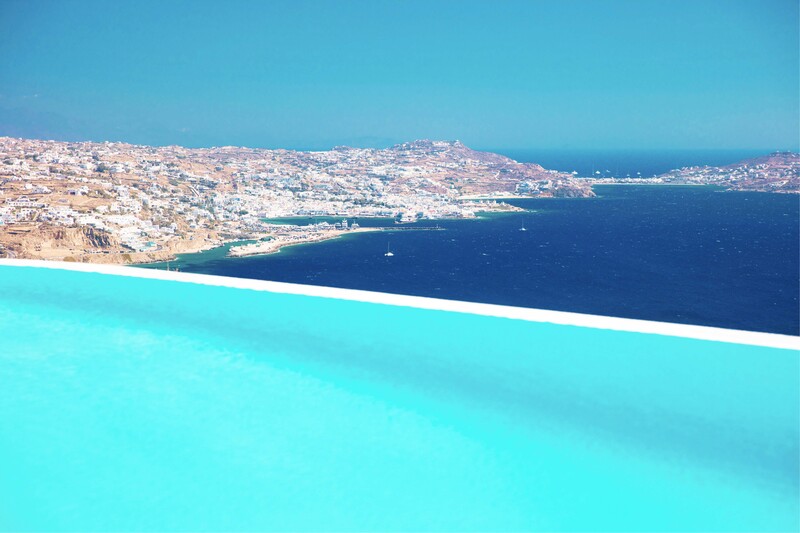 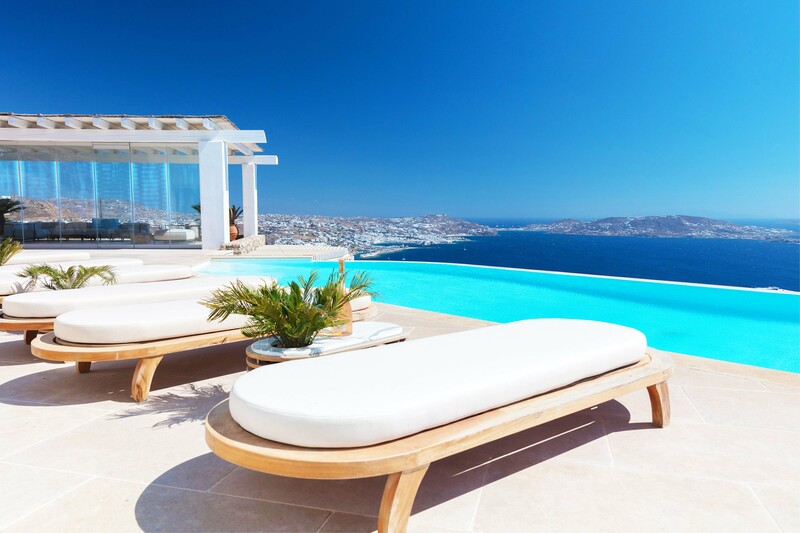 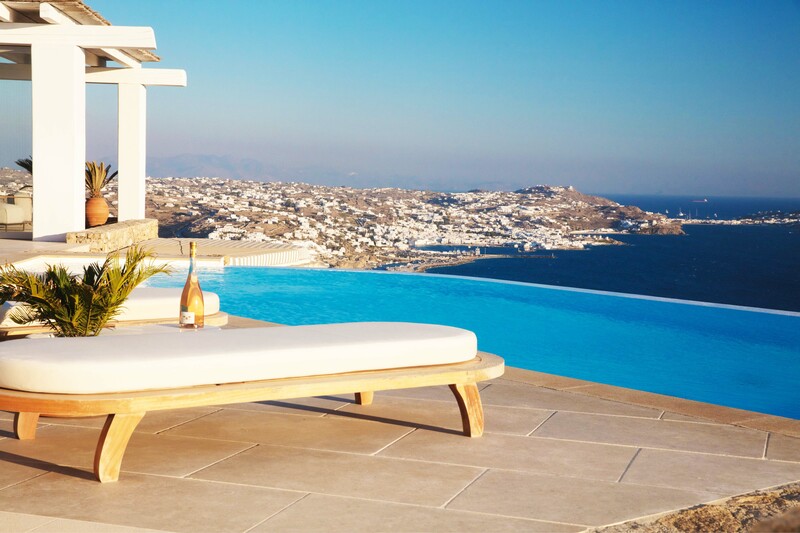 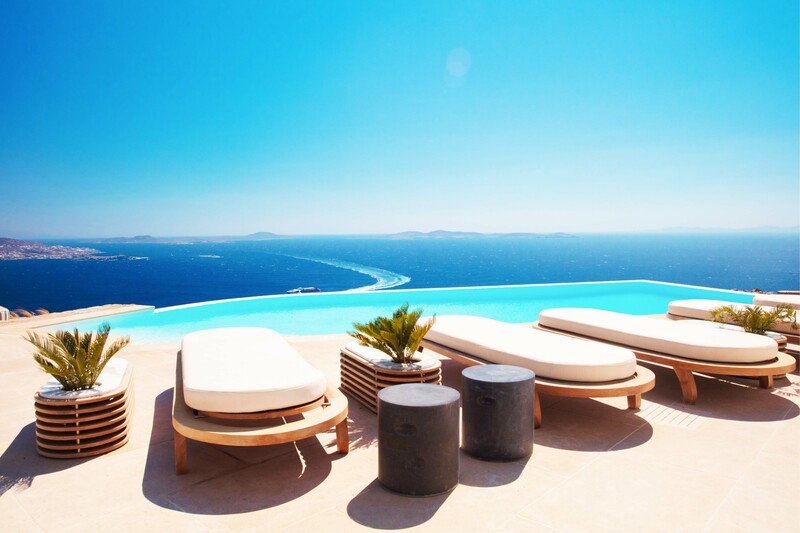 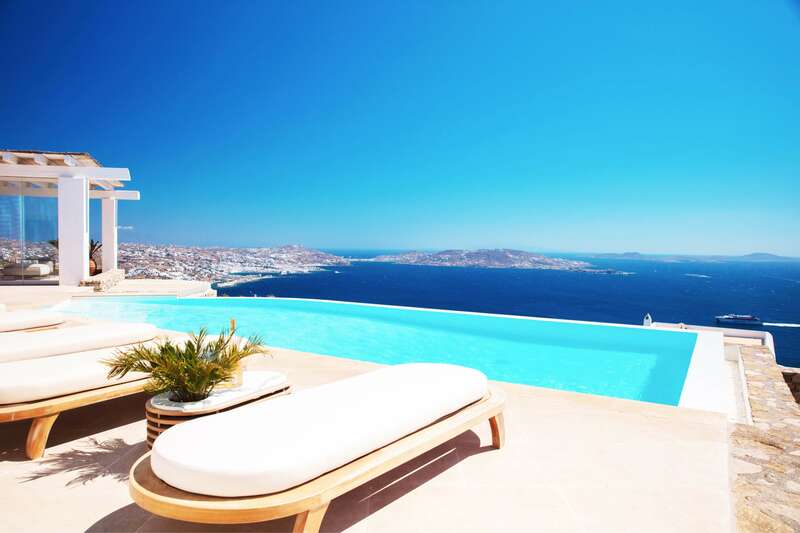 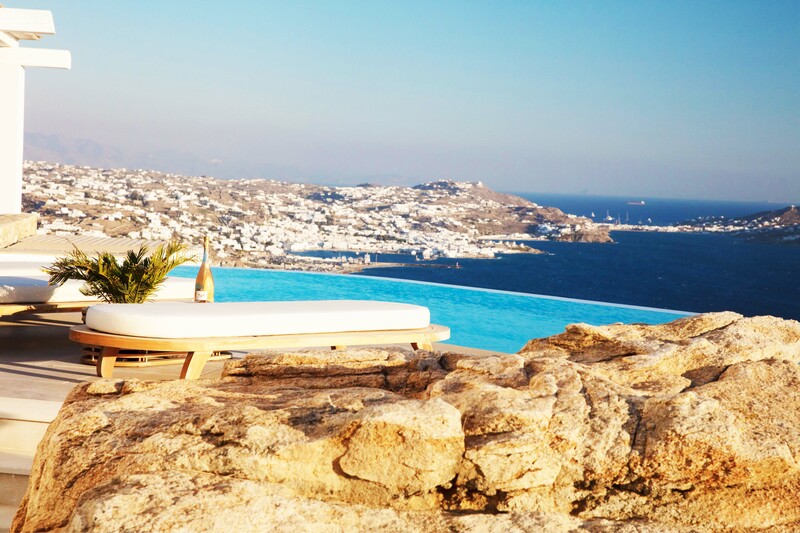 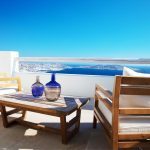 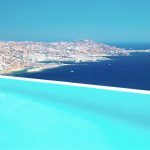 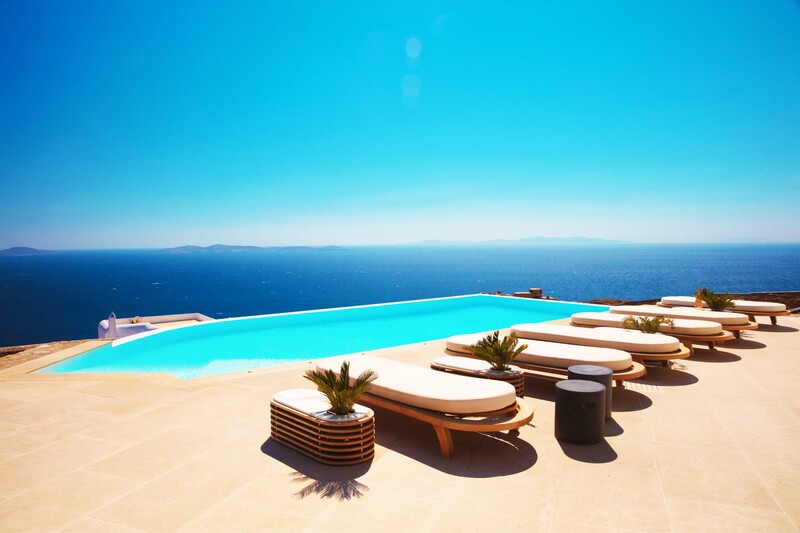 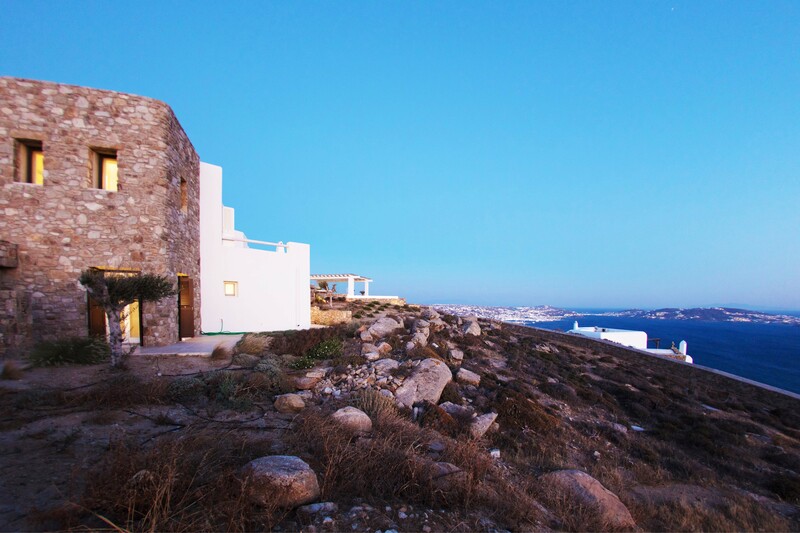 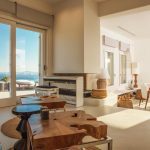 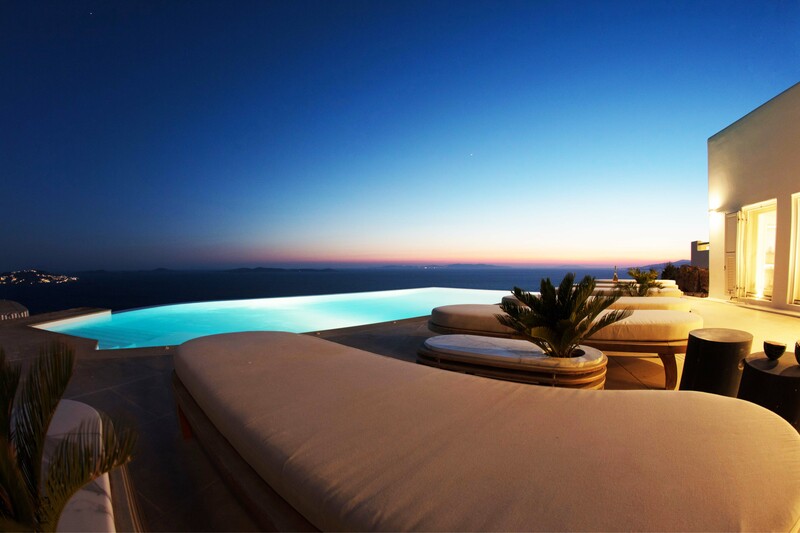 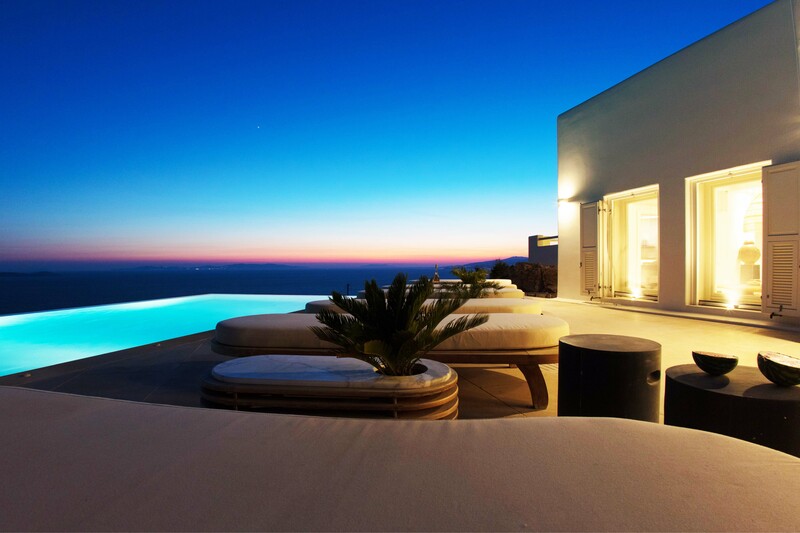 With 260-degree views over the Aegean Sea and Mykonos, the stunning views are undoubtedly a particular highlight of this property. 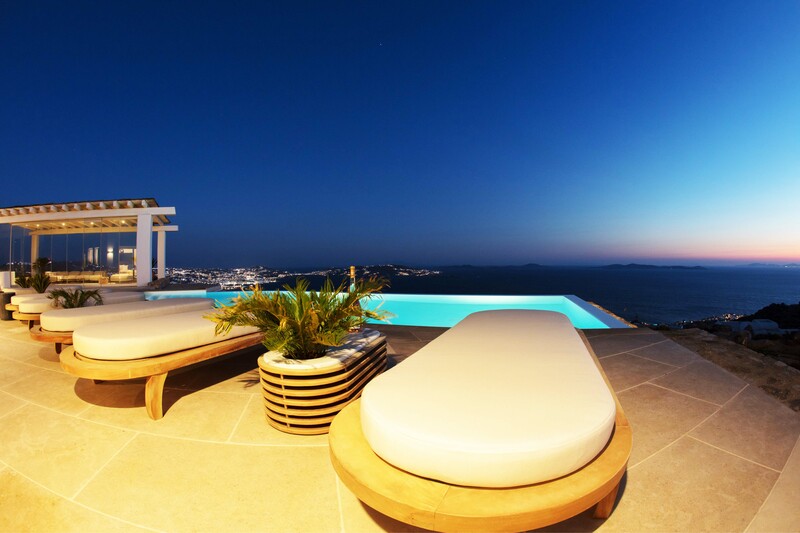 Step out of the villa and prepare to be amazed, as the sea glistens all around you. 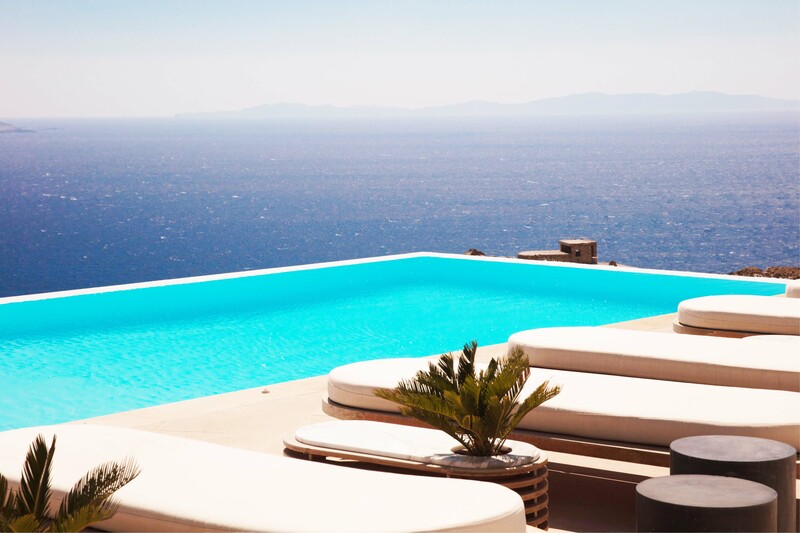 A glorious infinity pool blends seamlessly with the ocean and beckons you over for a refreshing dip – although relaxing on sun lounges on the adjoining decking is also tempting. 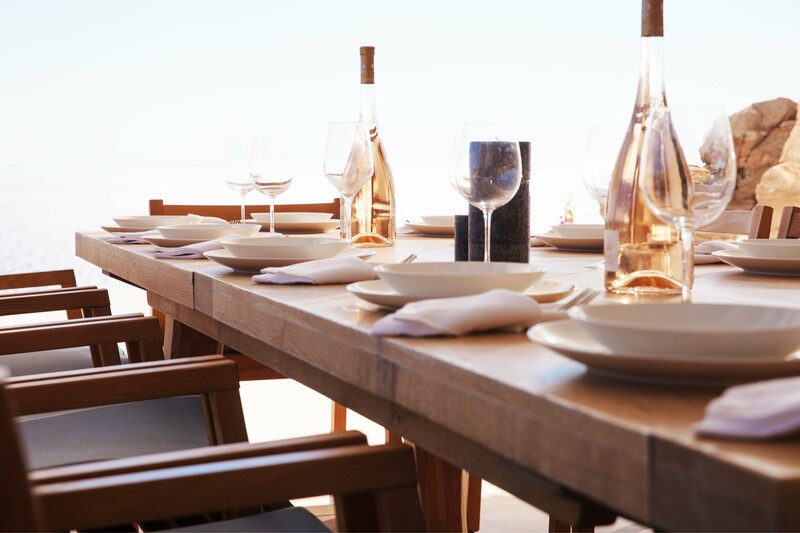 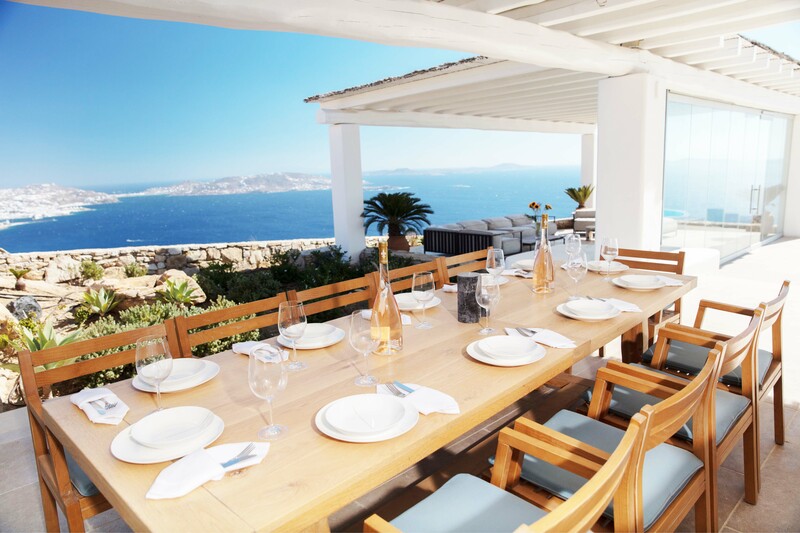 Whether you’re hosting an informal dinner or an exclusive event, the villa is ideal for entertaining with its expansive pool deck and alfresco living spaces. 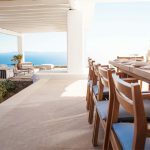 In particular, an alfresco dining area, sheltered from the wind with glass windows, a barbecue and a cozy outdoor seating area, are highlights of the property. 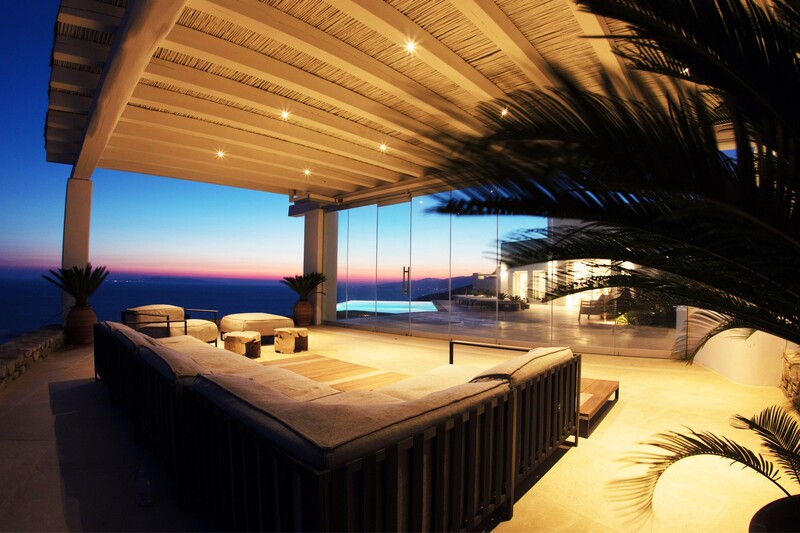 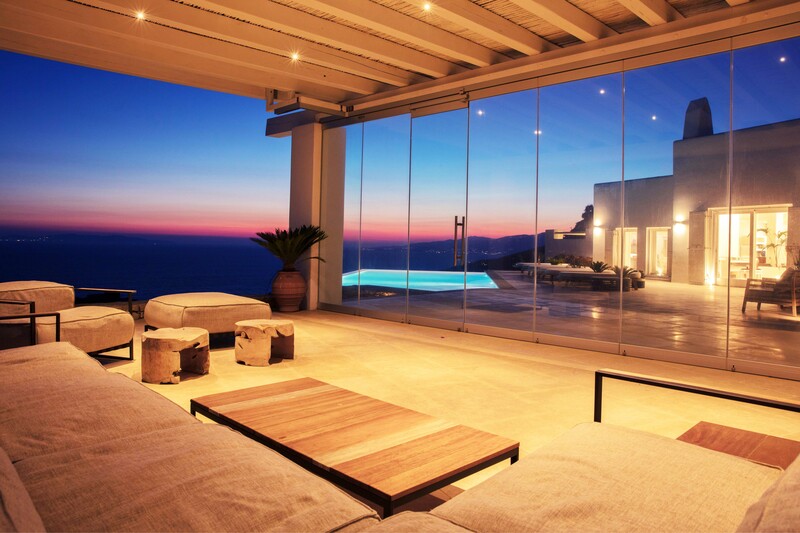 All, of course, are located to take full advantage of the exceptional views. 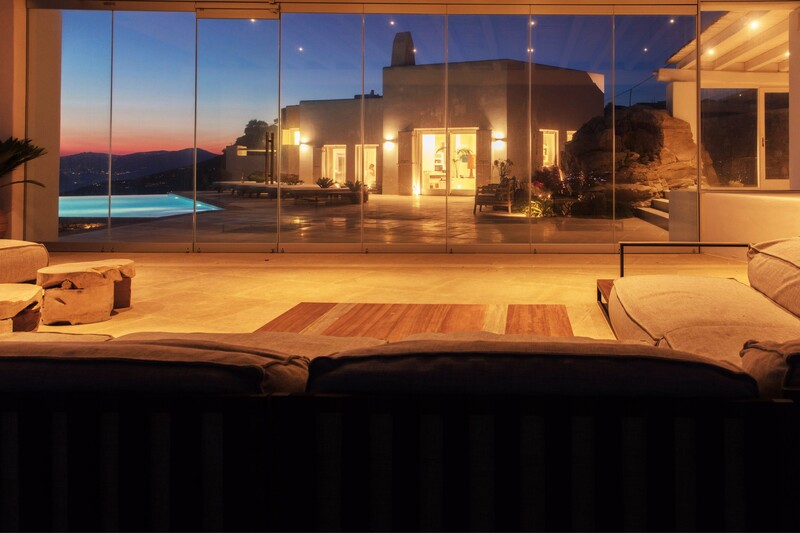 At night, retreat to the six bedrooms that sleep a maximum of twelve adults. 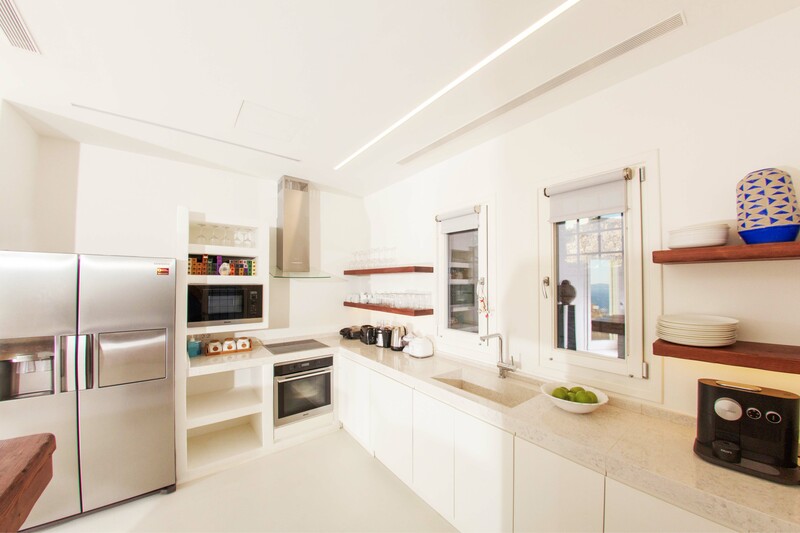 Each is spacious and modern, with its own ensuite bathroom and entertainment system. The master bedroom enjoys a balcony and walk-in wardrobe, while the five VIP bedrooms offer direct access to the infinity pool. 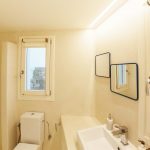 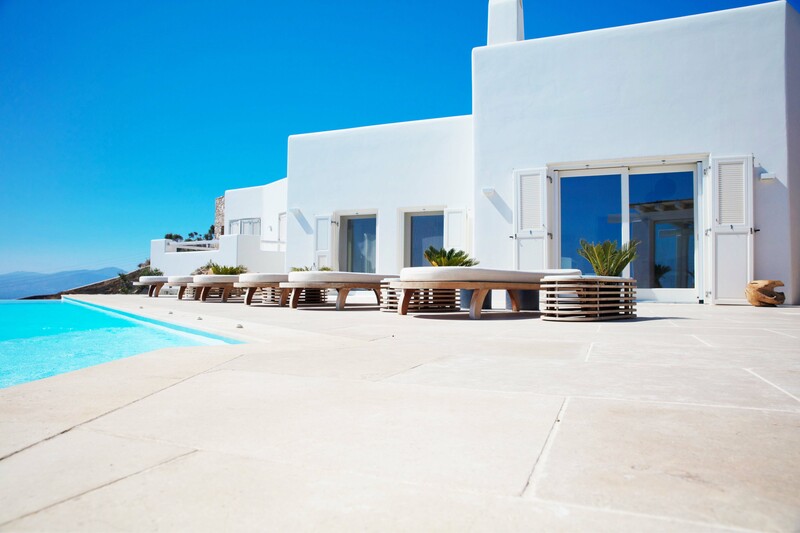 Villa Leoni enjoys an enviable location in the exclusive area of Tourlos. 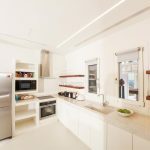 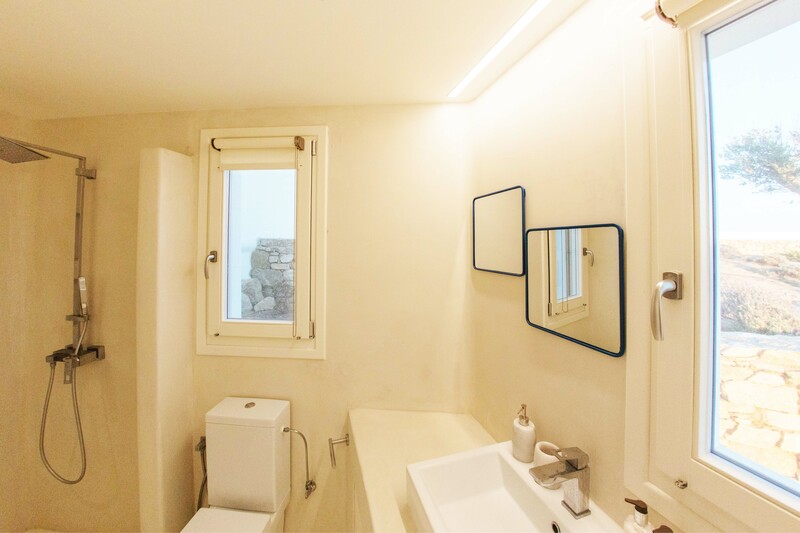 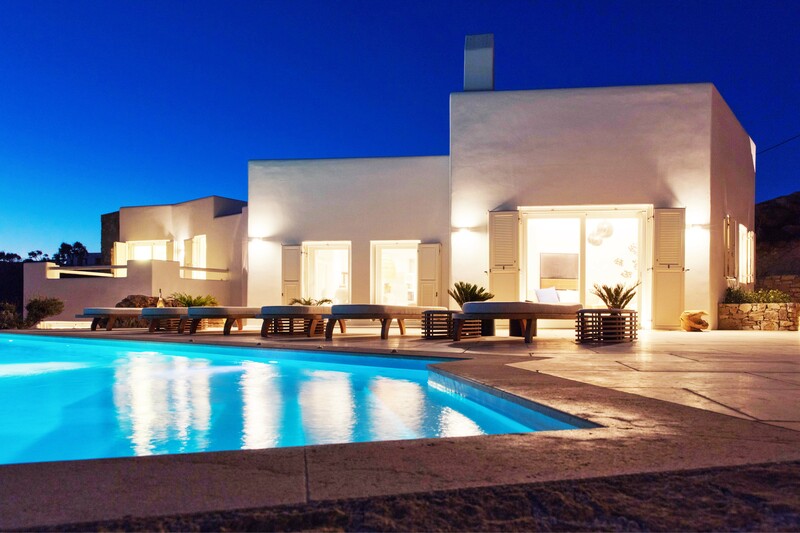 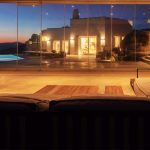 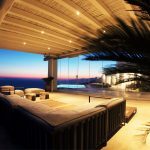 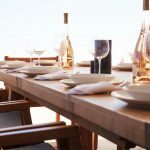 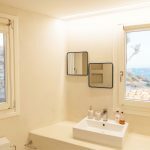 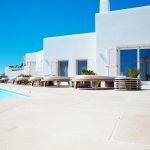 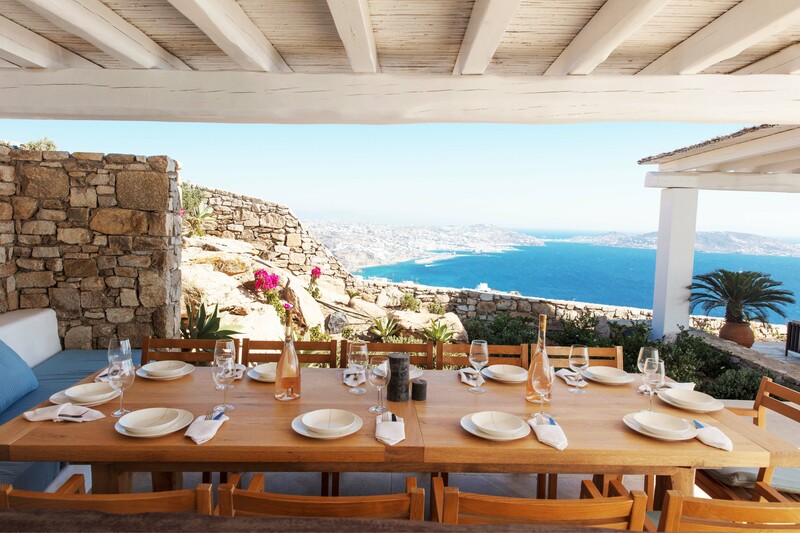 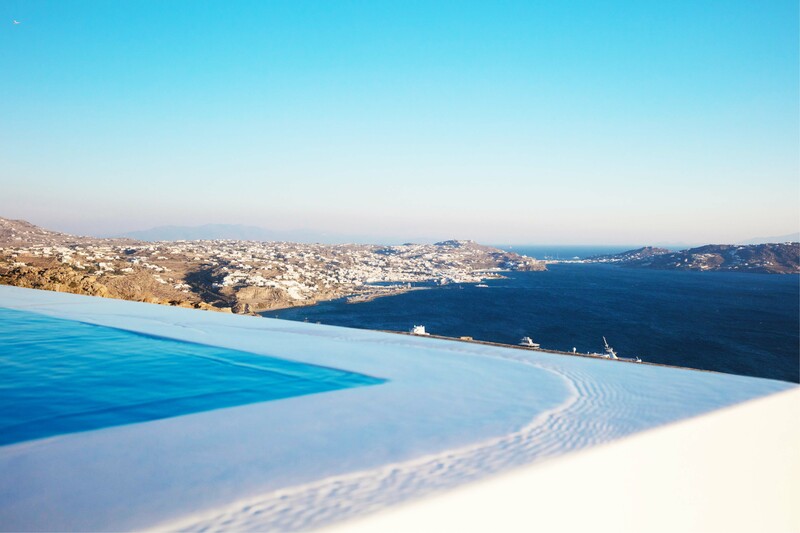 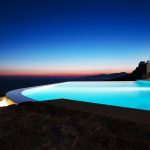 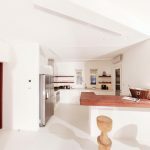 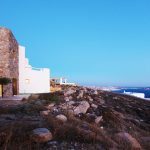 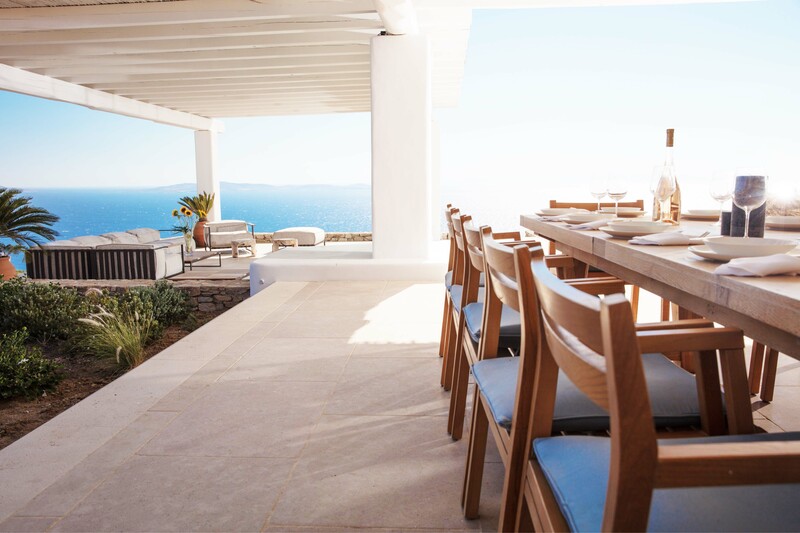 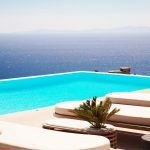 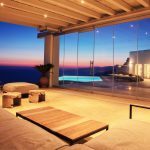 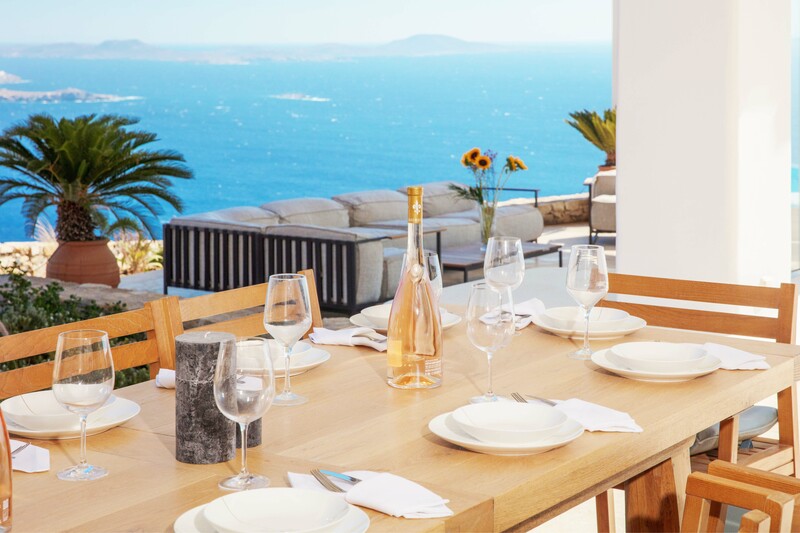 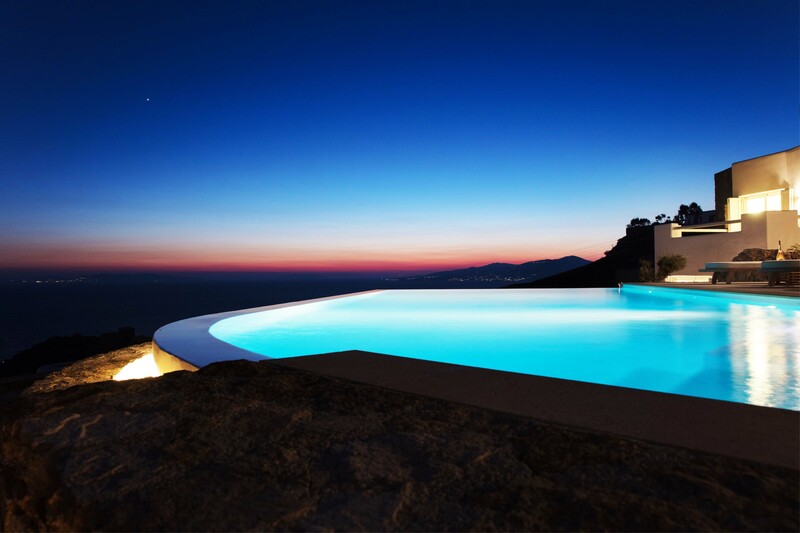 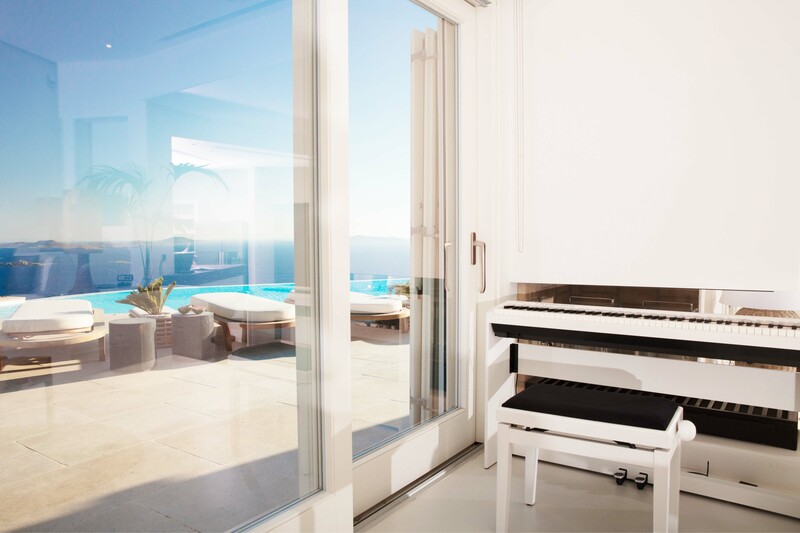 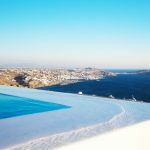 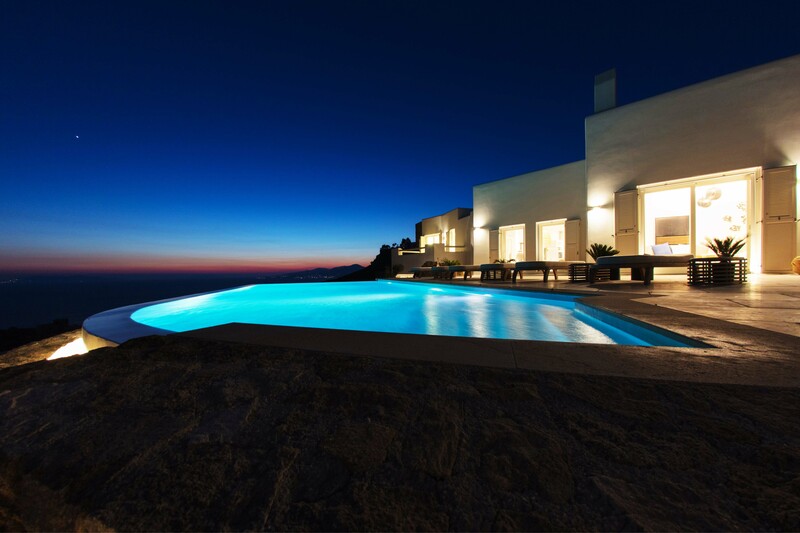 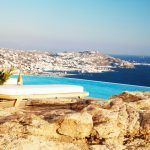 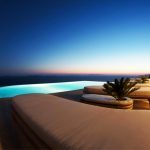 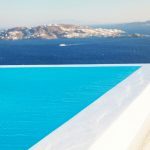 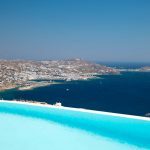 Although the villa enjoys privacy, it is also conveniently situated within close proximity of the airport and the port, as well as the premier restaurants, nightlife and shopping of Mykonos. 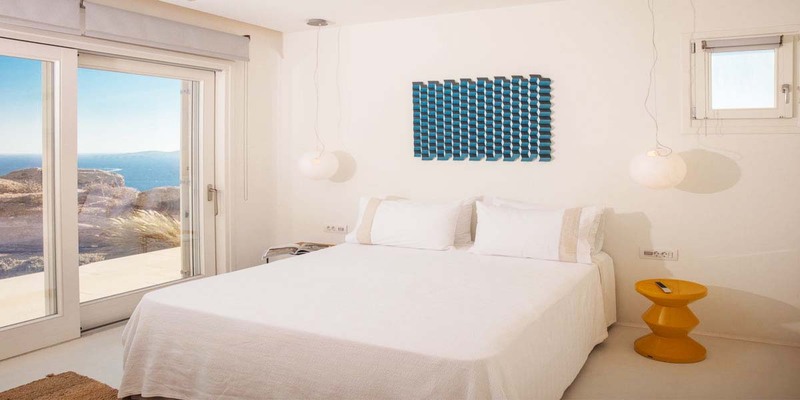 The property offers secure parking as well as a security system for your peace of mind.